“Being Evidence Based in Library and Information Practice"
"Library Conversations: Reclaiming Interpersonal Communication Theory for Understanding Professional Encounters"
"Library Improvement Through Data Analytics"
CHICAGO — Bringing together recent theory, research, and case studies, “Being Evidence Based in Library and Information Practice,” published by ALA Neal-Schuman, takes an open and encompassing approach to exploring evidence based library and information practice (EBLIP) and the ways it can improve the practice of librarianship. 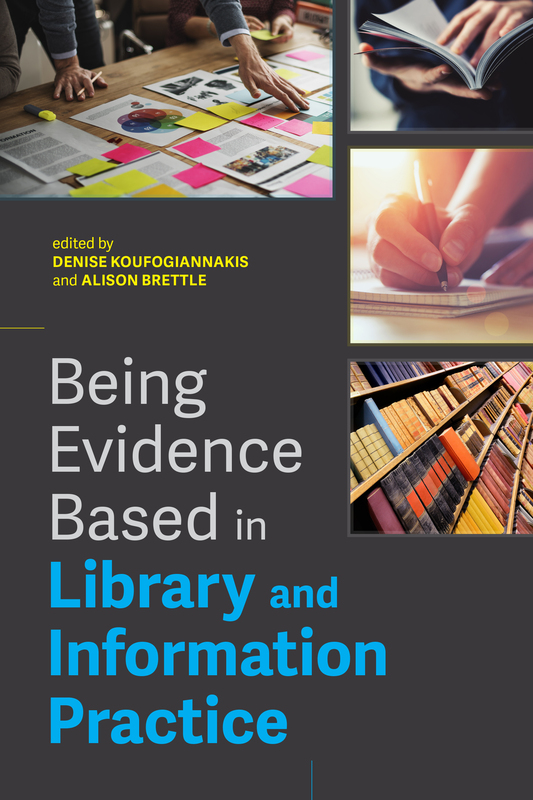 Edited by Denise Koufogiannakis and Alison Brettle, the book provides librarians with a new reference point for how they can use and create evidence within their practice, in order to better meet the needs of their communities. In the book’s first part, the editors explore the background to EBLIP and put forward a new model for its application in the workplace which encompasses five elements: Articulate, Assemble, Assess, Agree, Adapt. In the second part, contributors from academic, public, health, school, and special libraries from around the world provide an overview of EBLIP developments and offer examples of successful implementation. Essential reading for library and information professionals from all types of institutions who want to make more informed decisions and better meet the needs of their users, this book will also be of interest to students of library and information studies and researchers. Dr. Koufogiannakis is Associate University Librarian at the University of Alberta Libraries in Edmonton, Alberta, Canada. She co-founded the open access journal Evidence Based Library and Information Practice and has held several editorial positions since the journal’s inception in 2006, including Editor-in-Chief from 2009-2011. In 2007, she was named a Library Journal Mover & Shaker for her contributions to the evidence based librarianship movement. Dr. Brettle is a Reader in Evidence Based Practice at the University of Salford, UK. She has over 20 years’ experience in health, social care and library related research and teaching environments, has led and supported a wide range of projects, and has published extensively. She has been involved with the open access professional journal Evidence Based Library and Information Practice since its inception, and was Editor-in-Chief 2012-2014. ALA Store purchases fund advocacy, awareness and accreditation programs for library professionals worldwide. Founded in 1976 by Patricia Glass Schuman and John Vincent Neal, Neal-Schuman Publishers, now an imprint of ALA Publishing, publishes professional books for librarians, archivists, and knowledge managers. Contact us at (800) 545-2433 ext. 5052 or editionsmarketing@ala.org.